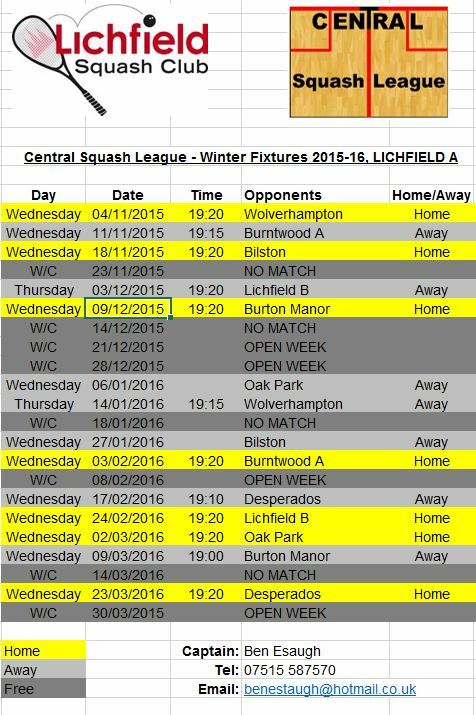 We have entered 2 teams in the Central Squash winter league this year and the fixtures are now available. As there is just a single division, we have made the 2 teams as equal in playing level as possible so the current allocation of A and B is not indicative of any heirarchy. In addition, we would like to come up with 2 team names rather than A and B, so are open to suggestions. You can be as creative as you like – perhaps something linked to Lichfield, its landmarks, history, famous people etc. 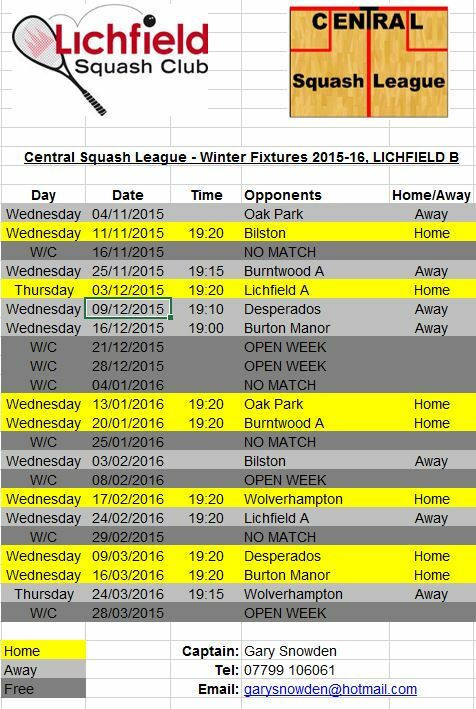 Alternatively, you could suggest something linked to the squash skills (or lack thereof!) of the teams, or come up with your own theme. There will be a prize of an iPROSPORTS Ltd Club shirt made to your specification up for grabs for each team name, so get your thinking caps on!